New York, Oct. 11 (BNA): Kuwait on Wednesday said that it fully backs the United Nations (UN)'s sustainable development goals and will do its part to see those plans come to fruition. 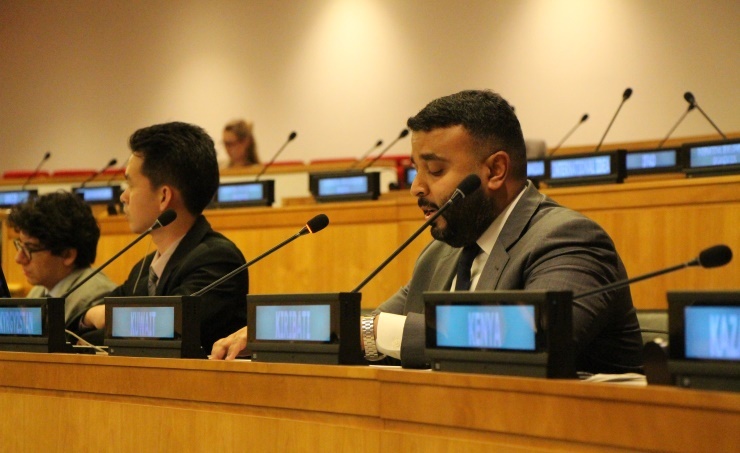 Abdullah Al-Sharrah, who is member of the Kuwaiti delegation to the second UN General Assembly, made the remarks, Kuwait News Agency (KUNA) reported. He said that the UN's secretary general has introduced various measures to support his vision of a sustainable future, which includes efforts to eradicate poverty and boost global development. "We remain steadfast in our pledge to achieve all of the UN's sustainable development goals by the year 2030," he said. He emphasised that Kuwait has held up its end of the bargain with its contributions towards sustainable development, which is a testament to the country's desire to remain on the path towards prosperity. Through its vision for a "new Kuwait", the Gulf state has shouldered its global responsibility and remains committed to its sustainable development goals, he added.